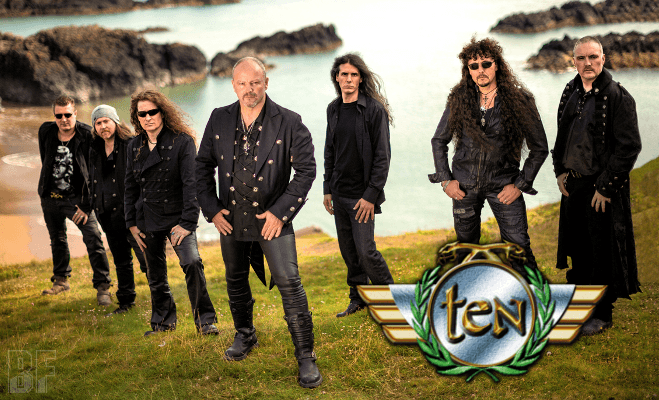 UK Hard Rockers TEN will release their 12th album entitled "Isla De Muerta" on May 20th through Rocktopia Records, following hot on the heels of their ground-breaking and highly lauded 2014 opus "Albion". Album title was named after the mythical ‘Island Of The Dead‘ from Pirate legend and as the title would suggest, this time around the album has a very ‘piratical, seafaring‘ feel. You can expect all the trademark TEN essences: Great songs, Big choruses, stunning solo work and twin leads with the British seven piece once again raising the bar and firing on all cylinders. All Songs were written, arranged and produced by Gary Hughes (Publishing and Copyright 2015). Mixed and Mastered By Dennis Ward. 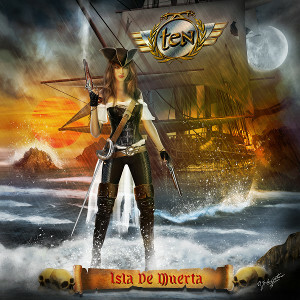 The album cover was illustrated by Gaetano Di Falco. Any fans of TEN and their expanding catalogue will not be disappointed. TEN will have live shows on May 8th and 9th in Athens, Greece.